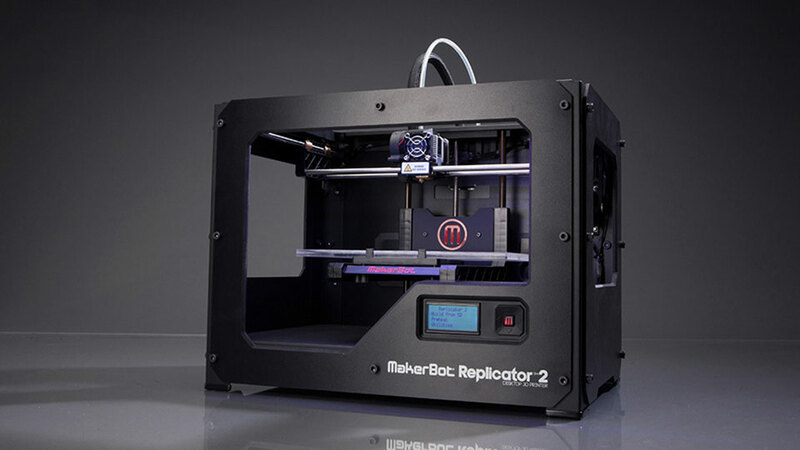 One Makerbot Replicator 2 is located in the Experimental Lab in the “Ferstel-Trakt” on the 2nd floor on our gallery. This printer is not for general studio projects of the 3 design studios (except if one of the Digital Design & Production seminars is chosen as integral part of the semester’s design studio project). It is reserved for prototyping, experimental projects especially involving research projects and other architecture departments of the faculty. Three Makerbot Replicator 2s for general use (by the design studios and for model building) are located in each of the 3 design Studios of the Institute of Architecture in the “Schwanzer Trakt” on the 1st floor in Studio Hadid, 3rd floor in Studio Hani Rashid and on the 4th floor in Studio Lynn. Check with your studio’s assistant professors how printing in your studio is handled. The official Manual you can find here. 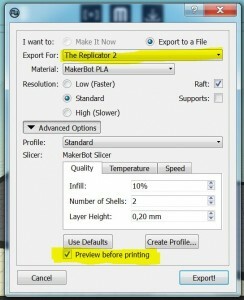 The MakerBot Desktop Software you need to produce the gcode can be found here. The Makerbot Extruder is made for 1.75 mm diameter filament and best prints with PLA. In comparison to our zCorp printer there is no support material, meaning that every form cantilevering at an steeper angle than 45 degrees can only be printed by adding geometrical supports (either manually modeled or automatically generated by the software) that need to be manually broken and cut away after printing. Note that they extend the printing time. The estimated print time and material usage setting help to coordinate several prints and to avoid that the filament feed ends during printing (what normally means, that the print job needs to be started again from the beginning) as one can estimate the amount needed and the material left on the spool. 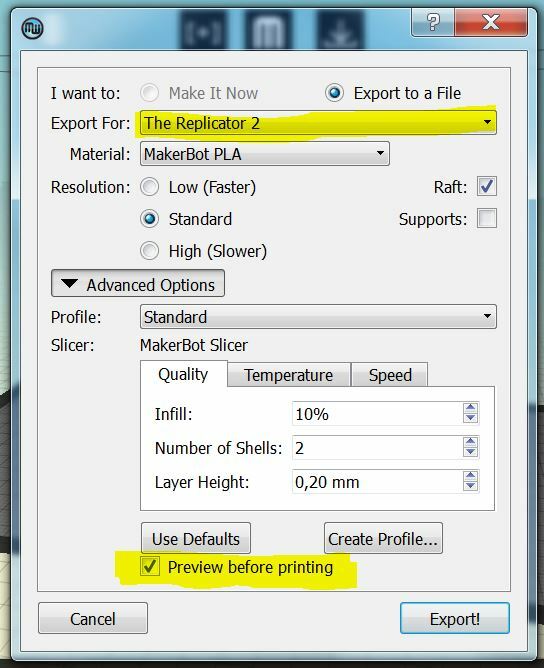 If you want to print from an SD card directly on the printer make sure to write an .x3g file as a .gcode file can only be printed with the Replicator connected to a computer running the software. Sometimes in cheap material there are also air inclusions reducing in less material feed at these local points producing a not very nice surface finish or weak breaking points in the geometry of your print piece……therefore rather spend a couple of euros more instead of risking your print going wrong (especially when it takes a couple of hours) or damaging the printer! In general: the cleaner the geometry the better are the chances to get it out of the computer into the material world again! June 2, 2014 | Filed under TOOLS and tagged with 3D Printer, cnc, experimental lab, FDM, machines, studio Hadid, studio Lynn, studio Rashid, tools.